People say that bringing a child into this world is the most difficult thing. There is no denying that it surely is, but can you tell what is even more difficult? It is parenting that child in a positive way so he develops a strong personality benefiting his own life and the society around him. As Benjamin Spock says, “The child supplies the power but the parents have to do the steering.” The following are parenting resources for the core areas which the parents need to understand fully so that they can help their children out in the best possible manner. These resources will come in handy as and when the child grows into a particular stage. In a large survey conducted by American Dietetic Association Foundation of the children under the age of 12, it was found that these children looked up to their parents as their nutrition role models. It is either going to be their mom, dad, or both of them who will become their nutrition role model. Every now and then news of children being kidnapped, molested, and killed are heard. Even imagining such a thing for your own child will bring shudders down your spine. Most of the time, the targets of such criminals are random strangers. It might just happen that your child is at the wrong place at the wrong time all by himself giving chance to the strangers to take advantage of his vulnerability. It is the duty of parents to ensure that their children are entirely safe and secure at all times. He must be guided not to talk to strangers and taught some of the most important self-defense techniques. Give them enough confidence so that they can share anything with you or even with their teachers. This will help in catching any kind of problem as soon as possible without resulting in serious consequences. “At the beginning of all growth, everything imitates. All of us, when we were children, also only imitated. But children grow up and begin their own development,” says Pramoedya Ananta Toer, Bumi Manusia. It is the parents who the children will be looking up to while developing habits which later leads to the formulation of their personality. The parents must be knowledgeable about the phases of child development and should adopt necessary measures to ensure that their child is on the right track. Authoritative: Such parents implement strict rules and values in the lives of their children but do provide the freedom and flexibility to let the children have some fun within those boundaries. 100 percent of these parents have a good relationship with their children. Authoritarian: This involves setting very strict rules for your children and leaving zero room for responsiveness for them. 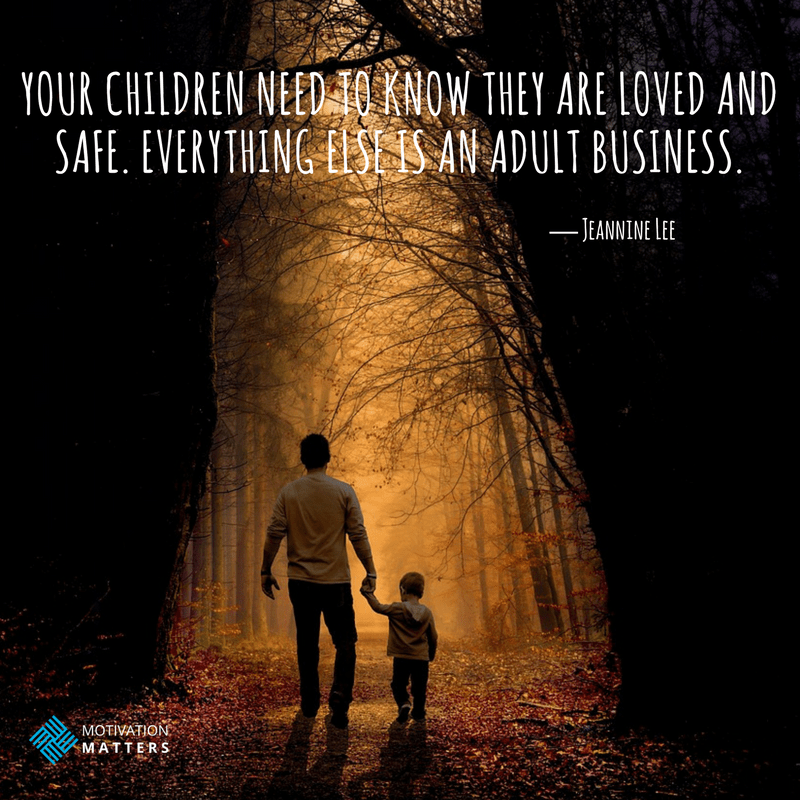 They are involved in each and every aspect of their children’s lives. Only 41 percent of these parents enjoy a good relationship with their children. Permissive: They have a high level of responsiveness towards the child and do not have a lot of rules. Even if the child showcases inappropriate behavior, they rarely punish him. Around 86 percent of such parents have a warm relationship with their children. “Encourage and support your kids because children are apt to live up to what you believe of them,” said Lady Bird Johnson. For every relationship to be stronger, there needs to be extensive communication between the two parties involved. The need for having excellent communication increases between parents and children because of so many other boundaries set to maintain respect and discipline. Children who are dealing with issues like the divorce between their parents need more support from them to cope with the issue. Around 73 percent of the children of divorced parents believe that they would have been a different person if the divorce didn’t happen. This shows that parents need to be there with the children to ease their pain because their griefs is far more intense than that of anyone else. “If there is one thing developmental psychologists have learned over the years, it is that parents don’t have to be brilliant psychologists to succeed. They don’t have to be supremely gifted teachers. Most of the stuff parents do with flashcards and special drills and tutorials to hone their kids into perfect achievement machines don’t have any effect at all. Instead, parents just have to be good enough. They have to provide their kids with stable and predictable rhythms. They need to be able to fall in tune with their kids’ needs, combining warmth and discipline. They need to establish the secure emotional bonds that kids can fall back upon in the face of stress. They need to be there to provide living examples of how to cope with the problems of the world so that their children can develop unconscious models in their heads.” – David Brooks, The Social Animal: The Hidden Sources of Love, Character, and Achievement.